Adorn your lanyard or zipper pull with a TiSurvival bead to set gear apart for the masses. 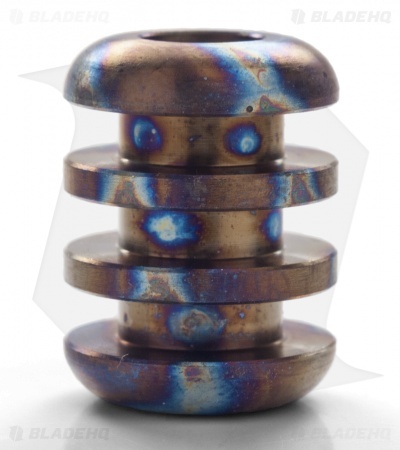 This Four-Ribbed titanium features a random snail trail heat colored finish. It has a large 1/4 inch diameter hole.